At GroundWork, we provide therapy and support to women struggling with a variety of challenges. Are you a woman who is feeling overwhelmed or stuck or may be you are tired of how your relationships are going? Perhaps you are struggling to find your own voice, or maybe you are having a difficult time managing your anxiety or depression, or acknowledging your own needs? Maybe you are in the midst of a divorce or learning how to live alone after a divorce and need support during this difficult time. Or possibly you are just generally dissatisfied with your life. If so, you might be wondering “how long can I endure this?” or “will this ever get better?” Sometimes change and finding balance can feel not only difficult, but nearly impossible. At GroundWork, our therapists are here to assure you that transformation is possible. You can become confident and self-assured, and begin to live a rich, fulfilled life with an open and trusting heart; you can have relationships that are extraordinary and satisfying. Every woman has a story as we move through the rich transitions of our lives. We are daughters, spouses, lovers, and mothers. Our stories are not always easy, not always pleasant but those stories are “life”. Our women’s counselors help clients develop optimism, gratitude and appreciation, as well as cultivate a positive mind – a mind that tells itself healthy stories, using constructive language and is able to transform the painful events of life into meaningful experiences. If you find yourself tired of repeating the same mistakes that leave you feeling dissatisfied and empty and you are ready to overcome your fears and obstacles so that you may see yourself in a new way, our women’s counselors are ready to walk beside you and help you to open up to a world of new possibilities. 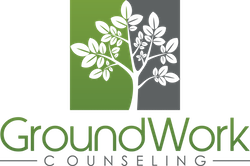 Women’s Counseling at Groundwork in Orlando can be successful in helping you redefine meaning and purpose for your work and family life, and find a renewed sense of peace and fulfillment in your everyday life.Many women suffer stress from the need for perfection in all their roles. Many of the responsibilities that women juggle are associated with increased risk for depression. Women often feel conflicted between meeting the needs of others and taking care of themselves, often losing a sense of who they are and what is important. Whether you are in mid-life and facing pressures from divorce, widowhood or health challenges or whether you are a quarter-lifer dealing with unrealistic expectations and stretched too thin from striving to meet too many demands created by multiple roles and responsibilities, counseling offers an opportunity to improve self-empowerment, resolve anger and resentment, build self-esteem, achieve work-life balance and make positive changes to live the happy and productive life you deserve. Counseling begins with the process of self-awareness and identifying your strengths. Women’s counseling can help you accept yourself and find peace with who you are. Many women struggle with anxiety, depression, relationship problems, sexual issues or say that they just don’t feel happy or fulfilled. These issues often emerge during life transitions such as beginning a new career, starting a family, children starting school, becoming an empty nester, going through menopause, ending a marriage, facing job changes or retirement. During these times, a woman’s life can feel out of balance. Become a stronger, more confident and loving parent. Communicate more effectively so that you get what you need. Could You Benefit From Women’s Counseling? Do you find yourself caring for others, but seldom taking time to take care of yourself? Do you have a tendency to take on too much without setting limits? Do you often feel that you are stretched too thin, exhausted or depleted? Are you uncertain how to handle the unexpected changes in your life? Are you tired of going in circles around the same old issues? Do you feel pressured by friends, family or society to be someone different than who you are? Have you ever felt you are juggling too much at the cost of your own well-being? Do you do everything for everyone else and you’re still not happy? Do anxieties or fears keep you from living the life you dream of? Do you fixate and worry about the same things over and over? Do you find yourself becoming more irritable and angry?